Aster brachyactis of Michigan Flora. 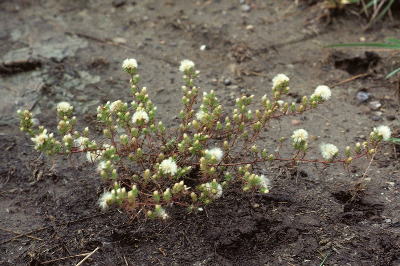 This is a halophyte, considered to be native only west of the Great Lakes. Now, local on the shores of the Great Lakes and some inland lakes as well as in disturbed sites along railroads and salted highways, and by salt storage areas. First collected in 1900 in St. Clair Co.
MICHIGAN FLORA ONLINE. A. A. Reznicek, E. G. Voss, & B. S. Walters. February 2011. University of Michigan. Web. 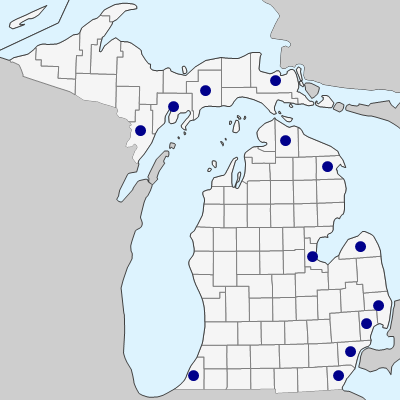 April 20, 2019. https://michiganflora.net/species.aspx?id=477.